As sorting your mail goes, I think most of us do the shuffle and pile method, but there are some very cool options to help you stay organized during the week as well as aid you in the ability to find your keys. 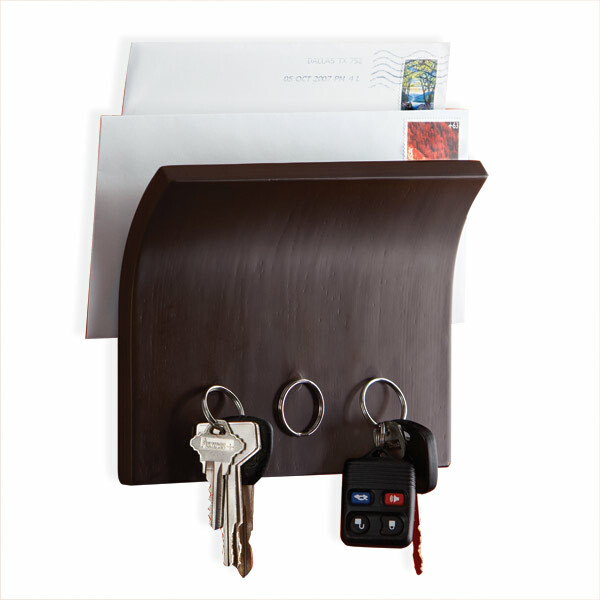 This faux wood mail sorter is stylish, but also has a magnetic front so that you can post messages and store your keys. I actually own this one! It is super user friendly with its large space for mail, hooks for keys and sunglasses, and an area to post business cards or reminders. 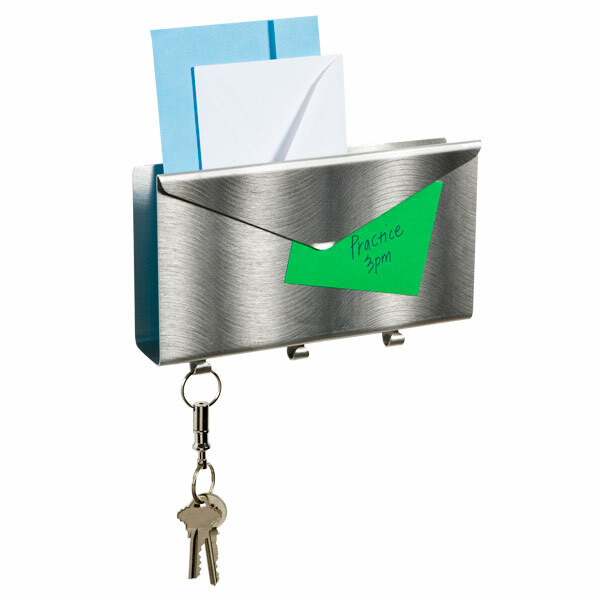 As small as a regular sized envelope, this mail sorter blends in nicely with its surroundings, but also adds an element of fun. 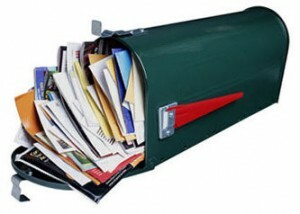 A great aspect to this mail station is the amount of space it provides. 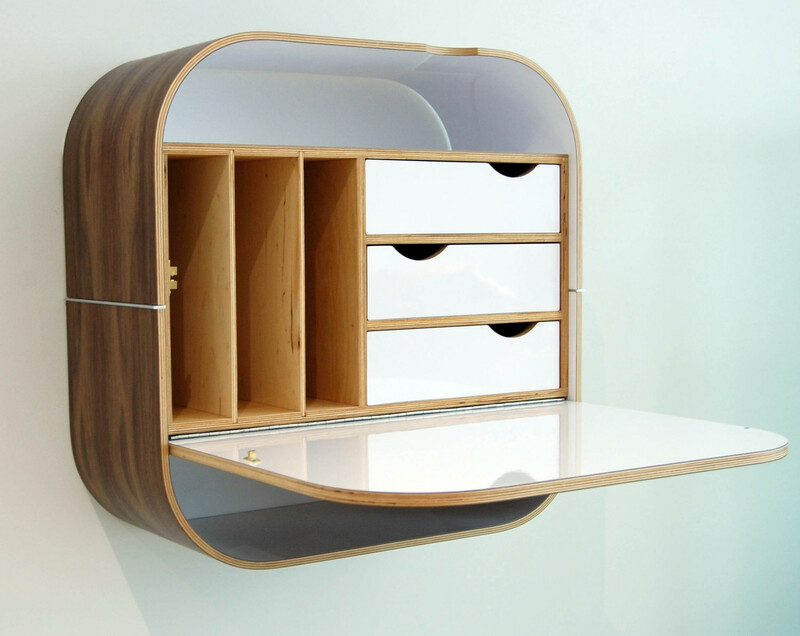 It also decreased the amount of visual clutter by simply folding up. 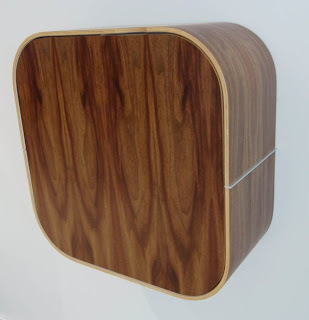 The wood veneer is very attractive, but it would be even better if it had some sort of multipurpose front like some of the other mail sorters out there. Perhaps a dry erase board? To be honest this example is a little lack luster, but with a little paint...let's say white on the outside and green in the cubbies...this piece could really stand out. This is a cute idea from the Bright and Blithe blog. I would like to see it spiced up a little with a colorful fabric or more graphic signs. 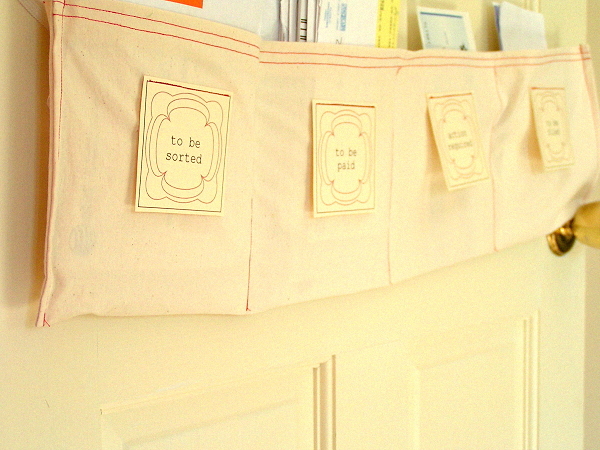 There is a lot of creativity you could use on this easy handmade project.